Arrived right on time. Quality pieces. Thank you! I do my best to provide measurements for all of my beads, but sizes and drill holes measure quite a bit in natural gemstone beads. All measurements listed are approximate only. Are all of your beads natural gemstones? With the exception of hematite, all of the beads I offer were made by nature. Quite a few of them have been enhanced in various way to improve appearance or durability. I try to mention the known treatments in my listings. I personally prefer natural, untreated gemstones, so I choose those whenever possible. However some types of gemstones are always, always treated. For example, onyx is not black in nature. ; black onyx is always dyed. 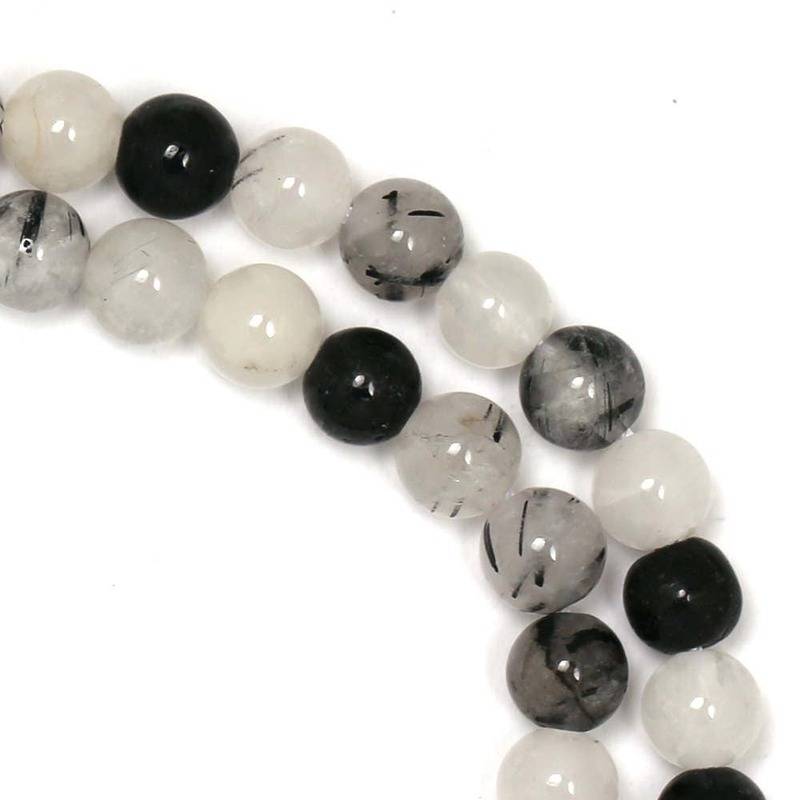 Soft minerals like magnesite must always be stabilized to be durable enough to use as beads. Citrine and carnelian beads are almost always heat-treated. And although hematite is a naturally-occurring mineral, hematite beads are always man made. If you'd like to know about a particular gemstone, please ask me. Sales tax is automatically added to any order being shipped to a California address. If you are a reseller in California, please send me a completed BOE resale certificate (Form 230). Once I have verified your seller's permit, I will refund your sales tax. I offer bulk discounts for orders of $100+, $250+, and $500+ in the form of coupon codes sent out in my monthly newsletter (sign up at http://news.stowawaybeads.com ). What do gemstone grades mean? We've all seen bead shops that claim all of their beads are grade "A+++". Unfortunately, this isn't very meaningful or helpful when shopping. The problem is that there is no standardized system for grading gemstone beads, either nationally or internationally, so here I provide the criteria used for grading the beads sold in my shop. I hope that these criteria will be helpful to customers purchasing online from me. Grade D: Beads that can be used in more rustic or crafty projects. Often made with material that has flaws or less-than-ideal color. Can include uneven cutting or off-center drilling. I include these beads because I find them pretty, flaws and all. Depending on what kind of work you are doing with these beads, you may find there are several culls per strand with these beads. Grade C: Better quality than Grade D (fewer flaws and better color), but can include uneven cutting or off-center drilling. The size and shape of the beads within a strand can vary a good amount. Depending on what kind of work you are doing with these beads, you may find there are a few culls per strand with these beads. Grade B: Quality material, with a good polish (unless the beads are intentionally meant to be matte, or a softer material that does not take on a good polish), good cutting and drilling. Beads that are rated Grade B in my shop can be found graded as Grade A, AA, and AAA elsewhere. The beads are fairly uniform in size and shape throughout the strand. These are some nice gemstone beads. Grade A: Best material which is usually used in making beads. Excellent polish, cutting, and drilling. The beads are extremely uniform in size and shape. Grade AA: High-quality material that is usually not used in beads, because it can fetch a higher per-carat price when sold as loose faceted stones or cabochons than as beads. What does "limited quantity" mean? The items that I have labelled "limited quantity" are beads that I don't expect to be able to restock in the future. No, I do not combine shipping for multiple orders. If you wish to purchase more than one item, please place all items in your shopping cart and check out just once. The shipping cost is reduced for additional items added to your cart. Shipping is weight-based.